Nearly 50 years ago scientists discovered that detonating powerful explosives had the ability to create, not just destroy. Nanodiamonds, diamond-structured particles measuring less than 10 nanometers in diameter, which are the resultant residue from a TNT or Hexogen explosion in a contained space, are now being studied in a variety of science, technology and health applications. A team of researchers who specialize in nanotechnology, led by Dr. Yury Gogotsi, director of the A.J. 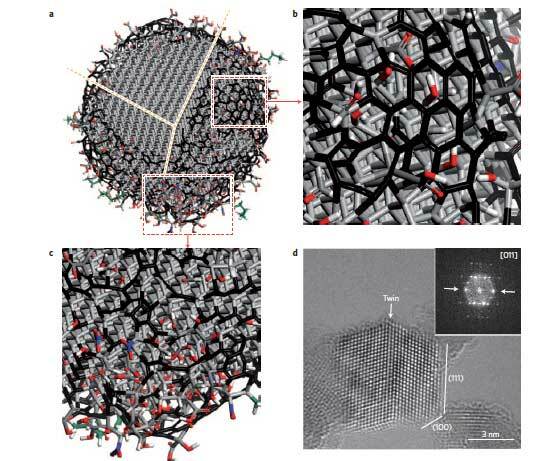 Drexel Nanotechnology Institute, offered a review of nanodiamond research, in the December 18 edition of Nature Nanotechnology to sift through new ways scientists are using these tiny treasures. Specific uses mentioned in the group’s survey of the research include using nanodiamonds for targeted therapy and imaging, two applications essential to the treatment of cancer. The article notes that preliminary studies in mice have shown that drugs mediated with nanodiamond were able to reduce a tumor’s ability to resist the drug treatment.